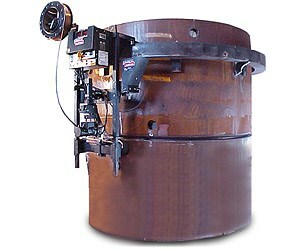 The Koike Aronson / Ransome Automatic Girth Welder (AGW) (or 3 O’clock Welder) performs x-ray quality horizontal welds up to 20 times faster than standard manual techniques, cutting in-field welding time for storage tanks by up to 40 percent. 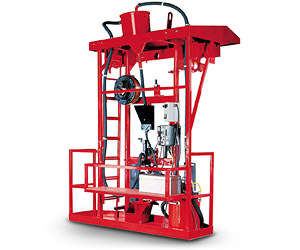 Koike Aronson / Ransome’s AGW-LW Light Weight Automatic Girth Welder is an automatic system that speeds up construction of thin walled field-erected storage tanks. It straddles the shell plates riding on adjustable flanged wheels at operator controlled speeds of 4 to 105 IPM (.10-2.67 M/min). 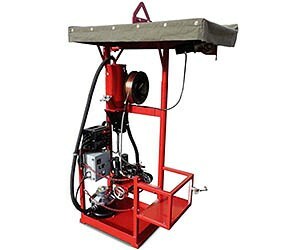 This machine is designed to Submerged Arc/MIG weld small diameter structures of 8′ or more. 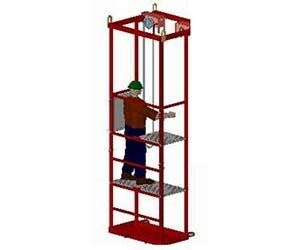 The unit must be supported by an Angle Iron Support Ring supplied by the customer and welded to the weldments. 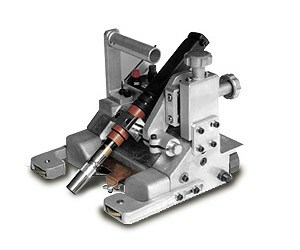 The unit is propelled around the ring with a knurled pressure wheel at a speed of 0 to 75 IPM. Koike Aronson / Ransome’s Shell Buggy is the ideal solution for manual operations during tank construction. The Wel-Handy Multi portable welding carriages are used by a wide range of customers, from one man mobile welding businesses to large shipyards with hundreds of welders.